When I turned 21, I drank until I couldn’t stand up anymore and ultimately got thrown out of the bar. 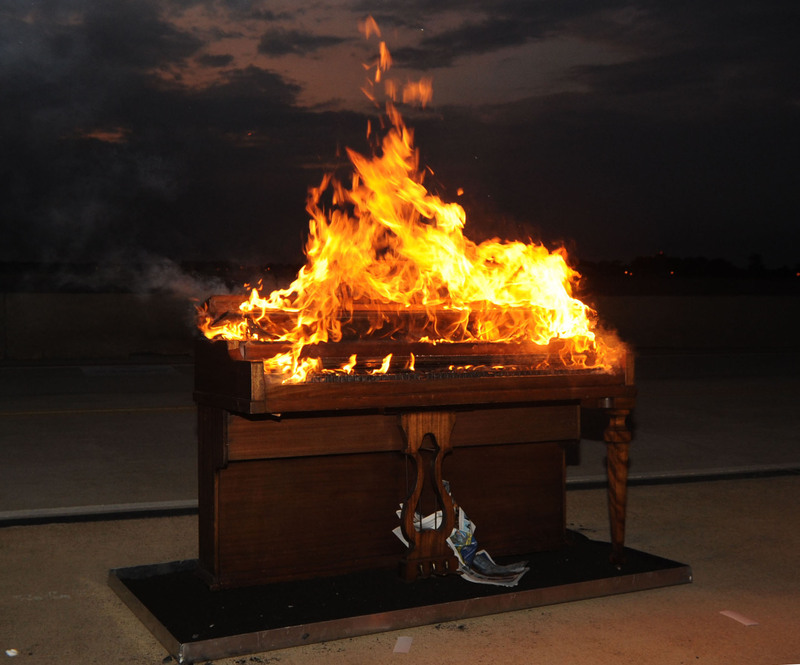 When the 94th Fighter Squadron turned 94, they burned a piano. Clearly, they have a better imagination than yours truly.